The good ol’ days used to be so much simpler and safer. 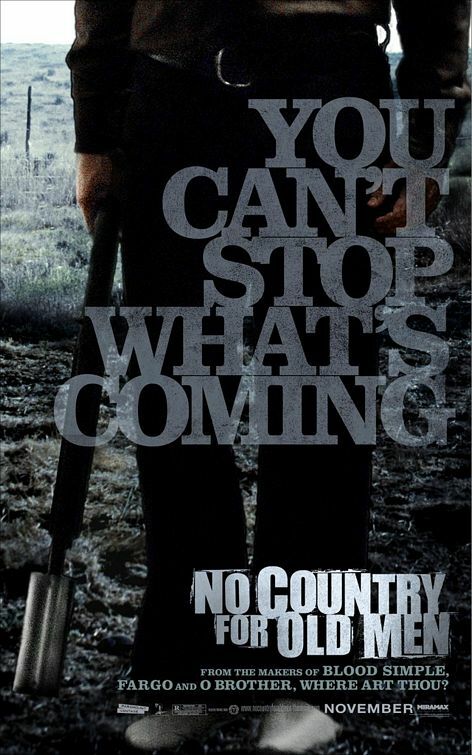 In 1980 West Texas, Ed Tom Bell (Tommy Lee Jones) serves as the sheriff of his town. It is a role that his father and grandfather held, with much less problems however. Bell struggles to understand the ever changing world and increasing violence within it, and as a result, he frequently laments the simpler times. Times in which his predecessors never felt the need to carry a gun. 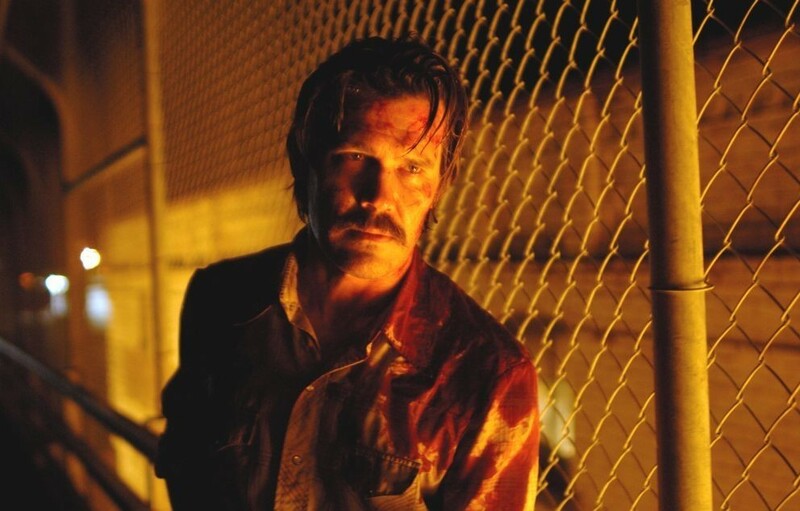 On a normal afternoon day, countryman Llewelyn Moss (Josh Brolin), stumbles across the aftermath of a drug deal gone awry. In his thorough search, he comes upon a case filled with two million dollars. Unfortunately for him, whoever holds the case is a marked man. A hitman by the name of Anton Chigurh (Javier Bardem), has been hired to retrieve it, and this man will stop at nothing to get it back. He is a man of principle who plays by his own rules, and Bell and Moss have little chance of stopping what is coming. Some things cannot be explained, some people cannot be explained. This thought, along with many other thoughts and themes, are what encompasses No County for Old Men. Based on a novel by the same name that I have never read, it is a movie that definitely needs to be watched by cinema fans, but may “click” more for some compared to others. Not every Best Picture winner is 100% beloved. Immediately, the first thing noticed when watching is the tone and atmospheric setting the Coen brothers establish and maintain throughout the film. This “Old West” isn’t rife with unclaimed riches or a promise of a better life. Nope, the Coen brothers’ vision of Old West is barren, desolate, and bleak, where just about everyone is resigned to their fates whether they have a hand in it or not. A big assist in crafting this setting and tone is the decision to eschew a traditional score. Aside from one, maybe two scenes with very minimal produced sounds, the Coens rely on the Santa Fe nature to build feeling. Speaking of building, there is a lot of it in “NCFOM.” It is a little slow, and at times completely devoid of dialogue, almost as if the movie falls in love with itself too much with its setting and cinematography, done by the great Roger Deakins (Prisoners, Skyfall, The Shawshank Redemption). For all of the themes and ideas presented in the mostly well-done build, the payoff is a little lacking. Even with the themes of declining youth and society, violence, and more, it is a hunter and hunted type of affair for a nice chunk of the runtime. It is enough to keep watching for sure, but it isn’t something I’d call compelling and personally wouldn’t come back to frequently (2nd view and probably last). One cannot speak about this movie without talking briefly about the ending. Without spoilers, it has inspired love on one side of the spectrum, and hate from another. For yours truly, the feeling lies somewhere in the middle. It makes sense, but it is somewhat unfulfilling and a bit of a “meh” note to go out on. Perhaps that is the point, with the movie possessing a nihilistic, “maybe-there-is-no-meaning in anything” point of view. But going back to the build, the climaxes and ending were a little flatter than anticipated. But, there is a possibility of something going over my head. Another aspect that people cannot leave out when talking about No County for Old Men is the performance of Javier Bardem as Anton Chigurh. In an Oscar-winning performance, Bardem’s character truly carries unease and unpredictability in every scene he appears in. Chigurh is a man who is irredeemably evil, but who acts upon his own set of morals and principles. He is a man driven by duty, not by money or materialistic needs. He is also a man of few words, not that Bardem needs to say many, as he is more than capable of delivering what is needed through expression alone. When he does speak, every word carries implications. In many ways, Chigurh is what Alfred Pennyworth was referring to when delivering the famous line of stating that “some men just want to watch the world burn.” While he may not be as charismatic or as unhinged as The Joker, Chigurh is just as dangerous and memorable. Bardem gives cinema one of the greatest villains ever in this role. Not to be forgotten here is the work turned in by Josh Brolin and Tommy Lee Jones. In no way do they come close to bring what Bardem does to the movie, but that is to be expected as they are playing more conventional characters. Jones feels wonderfully cast as the old hand who can’t seem to make sense of this new world, and Brolin serves up the right combination of common everyman and grit. In smaller roles, Woody Harrelson and Kelly Macdonald make the most of their screentime to turn in great performances and flesh out the storyline. If for whatever reason this still hasn’t been seen, No Country for Old Men is worth the time. Maybe falling short as a complete masterpiece, but I can’t call it for you. You need to call it by giving a view. Photo credits go to impawards.com, horrorphile.net, coenbrothers.net, and livingcinema.com. One of my favourite movies. I had never heard or seen Bardem before this and his performance made me an instant fan, even prompting me to imdb him to see what else he had been in. Not only is Bardem amazing, his character, dialogue, role is so well written, so memorable.If I was to make some sort of favourites list, this one would be in there no doubt. TLJ was great too, its really cool to see him still doin his thang, the movie he made this year (THE HOMESMAN) was great, I remember writing about it. Bast in the old west but its a very bleak and confronting tale. Highl;y recommended if you like TLJ, he directed, wrote and stars in it. His character in the movie is freakin great too. Thanks man! I don’t believe I love this, but it is worth a watch for anyone who loves movies. And Javier Bardem is spectacular without a doubt. No it really does! Thematically and of course visually this is a modern day western. One of my fav. movies of that year! Good to go back and remember it by reading your review!! Thanks for stopping by Peggy! There is so much to admire about this.